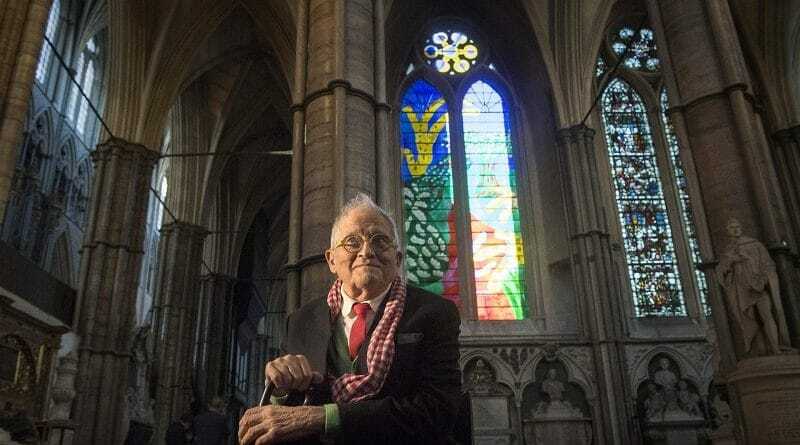 A vibrantly coloured window designed by David Hockney on his iPad, showing blue skies and a red country path through blossoming Yorkshire Wolds hawthorn, has been unveiled at Westminster Abbey. The stained-glass window was commissioned to celebrate the Queen’s reign and has been installed in the north transept, above the statues of former prime ministers including Peel, Gladstone and Disraeli. 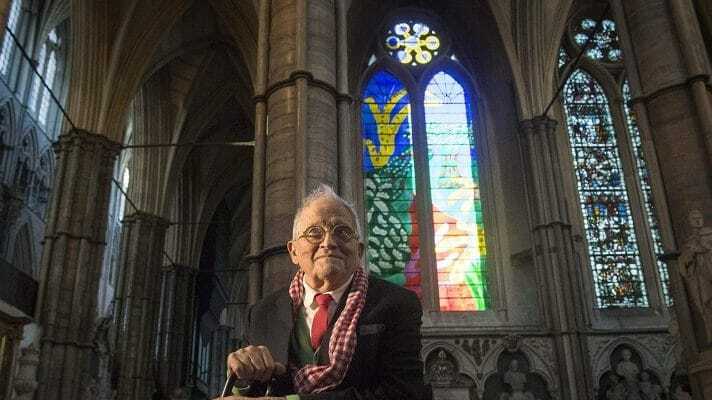 Hockney, visiting London from his home in Los Angeles, beamed with pleasure as the window was revealed for the first time on Wednesday. “I know this is a historic place and I know it’s going to last,” he said. The artist chose hawthorn blossom because it is celebratory. The dean of Westminster said the Queen would appreciate the window. The Queen had seen a sketch of the window but Hall said gauging her enthusiasm had been tricky. “The Queen very often doesn’t given you a very strong reaction,” he said. Nor were the Victorian statues that the window overlooks entirely to his liking, but he conceded they were all part of a contrasting fabric that had evolved over hundreds of years. “It is wonderful to have something which is utterly contemporary from one of the greatest artists of the Queen’s reign,” Hall said. The window is in a similar vein to his paintings of the Yorkshire Wolds, which he made when he moved to Bridlington for about eight years, before returning to Los Angeles in 2013.